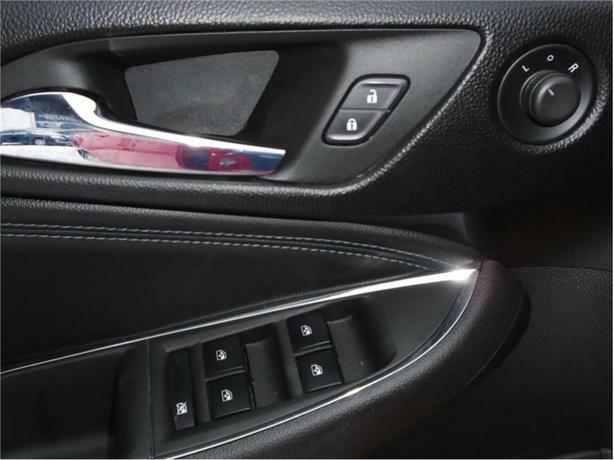 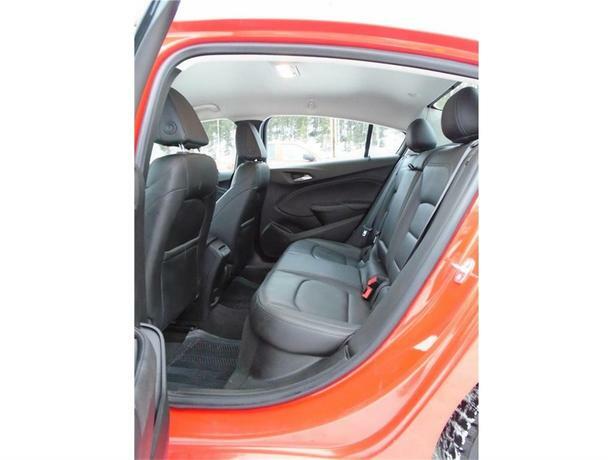 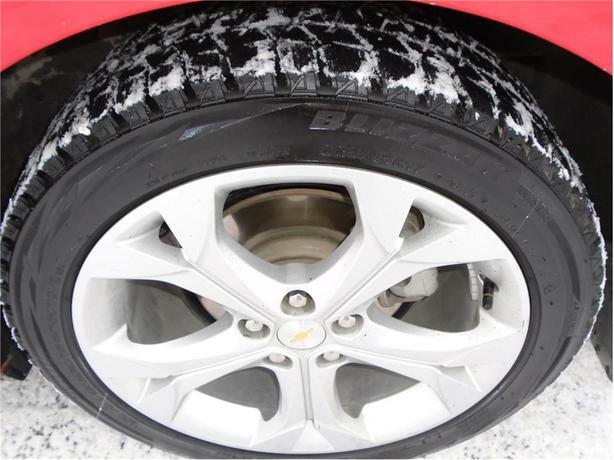 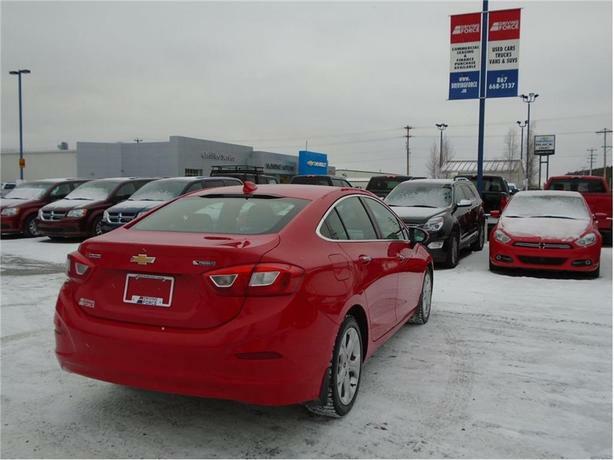 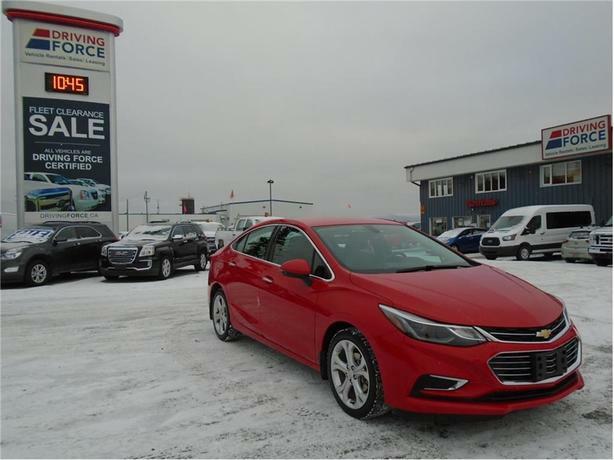 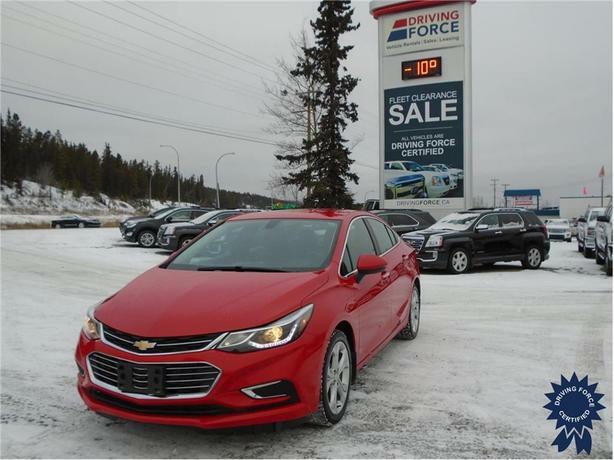 This 2017 Chevrolet Cruze Premier 5 Passenger Front Wheel Drive Sedan comes with a 6-speed automatic transmission, 3.14 axle ratio, 130-amp alternator, 17-inch aluminum wheels, red hot exterior color, front bucket seats with reclining seatbacks and adjustable head restraints, keyless start, leather seats, Chevrolet MyLink Radio with 7-inch Diagonal Color Touch Screen, Premier Convenience Package, custom moulded front and rear splash guards, wireless charging, heated rear seats, 110V power outlet, front and rear all-weather floor mats, power windows, single-zone automatic climate control, inside rear-view auto-dimming mirror, remote engine start, backup camera, heated steering wheel, WiFi hotspot, tire pressure display system, cruise control, cabin humidity sensor, oil life monitoring system, and smart device integration. 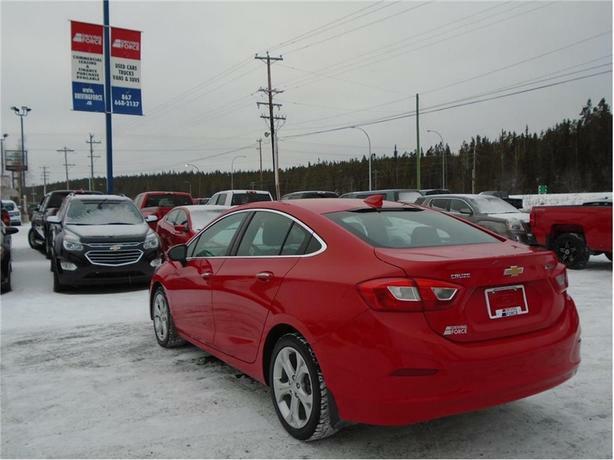 The 1.4-litre Turbo gas engine provides 153 horsepower at 5,600 RPM and 177 lb-ft of torque at 3,000 RPM. 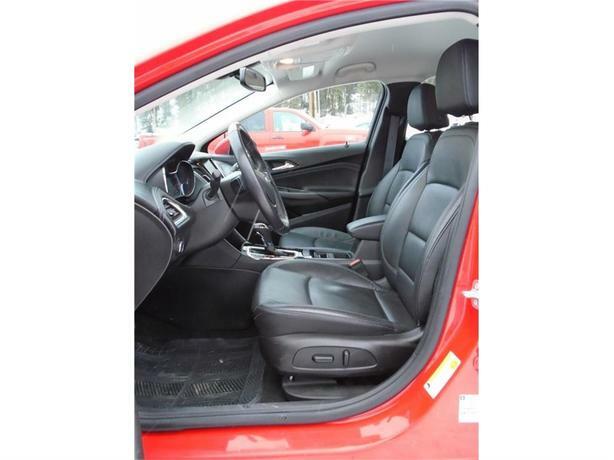 Touch base with us to discuss purchasing or financing options that are right for you and experience the difference you will only find at DRIVING FORCE Vehicle Rentals, Sales and Leasing.